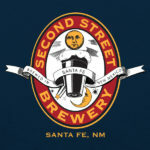 The Second Street brewery staff works hard to present a neighborhood brewpub that is welcoming to all local residents and visitors alike. Here you can enjoy a fine handcrafted ale or lager with the delightful company of others….a place where truly everyone knows your name. Come on in for some classic pub fare and what we think is the best beer in all of New Mexico. We’ll see you here.